A varied winter holiday awaits you in the alpine region of Mount Plose in Val d’Isarco. 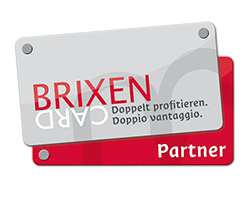 The local mountain of Bressanone – the ski resort Plose – offers 43 km of perfectly prepared slopes: it guarantees excellent conditions for eventful holidays in the white snow during your skiing vacation with children in South Tyrol. Modern ski lift facilities ensure a rapid and smooth transportation within the ski area. On the sunny slopes, you may enjoy fantastic views, ranging from the Ortles Group to the craggy peaks of the Dolomites, all the way to the main alpine ridge in the north. In the ski resort Plose there is the longest downhill slope in South Tyrol, which on nine kilometres leads from the summit to the valley. An exciting experience for the entire family is a snowshoe hike in the white powder snow. 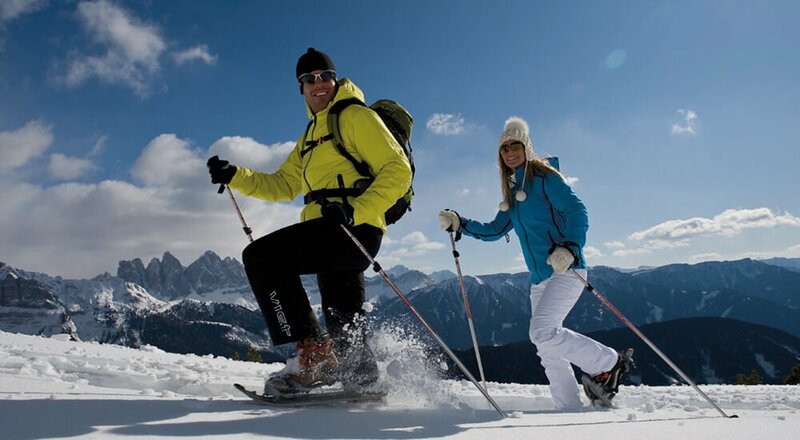 This original trend every year finds many new followers, and the Tourist Office in Bressanone offers guided tours across the white powder snow on Mount Plose. Furthermore, in the ski resort Plose you have the opportunity to participate in a ski tour that takes you to fantastic views on alpine altitudes. Breathtaking panoramic vistas of the Dolomites are guaranteed during these tours. The farm Kircherhof is perfect as a base for varied winter walks through the snowy surroundings. The “Kinderland” in the ski resort Plose enjoys great popularity with our young holiday guests. 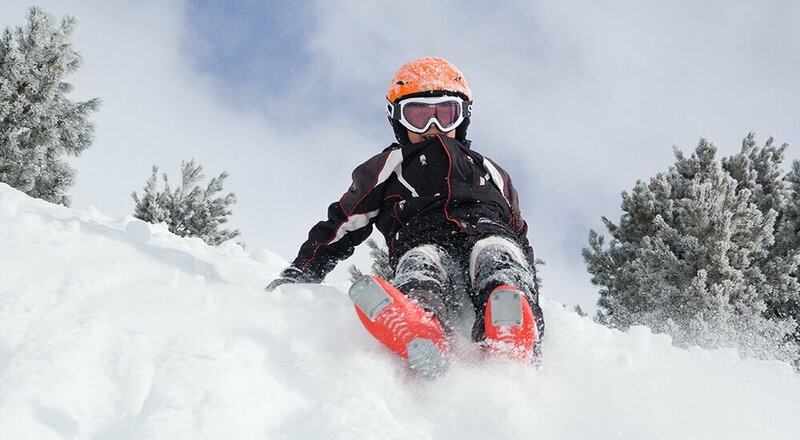 Here, your children can safely learn how to ski and romp freely in the snow with other kids under professional supervision. The ski resort Plose beckons with the longest toboggan run in South Tyrol – an exceptional highlight during your ski holiday with children in South Tyrol. The toboggan run “Rudi Run” on 15 kilometres leads from the mountain station of Mount Plose down into the valley. Loads of fun: a tour on cross-country skis across the snowy winter wonderland. The five-kilometre circular trail Val Croce on Mount Plose is perfect even for beginners. Breathe in the fresh mountain air on the cross-country slope PassodelleErbe that runs at a height of 2,000 meters, making it the highest cross-country track in the Isarco Valley.